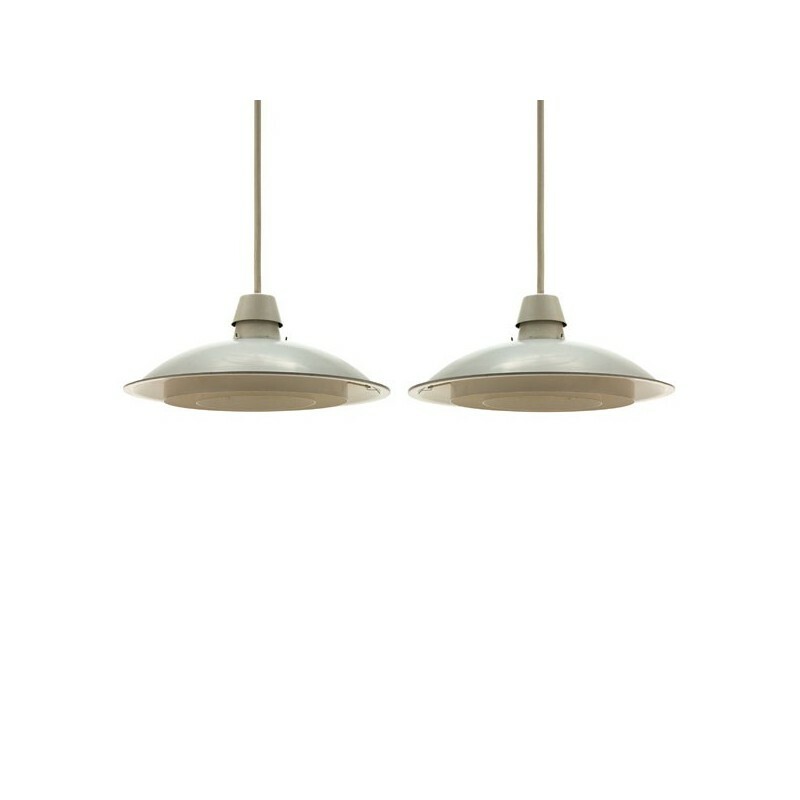 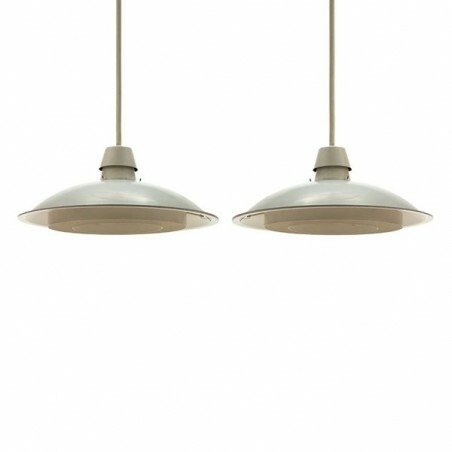 Vintage set of 2 Philips pendant lamps from the fifties. 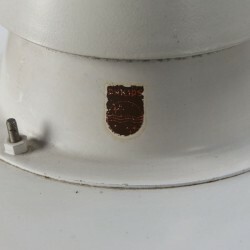 The lamps have a nice industrial look and are marked. 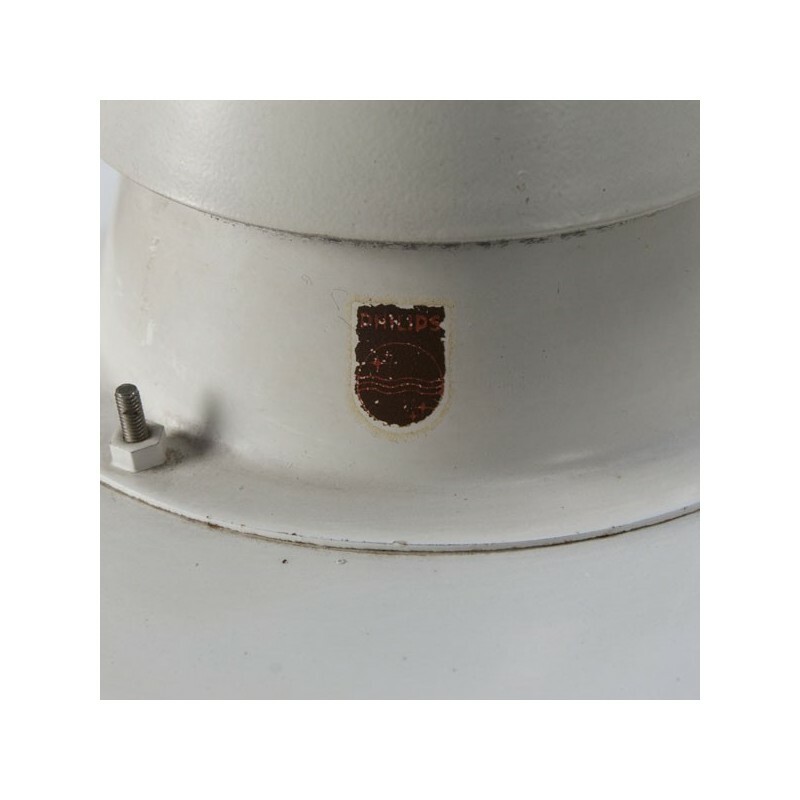 The condition is good, original condition, there are only slight traces of use visible (no dents). 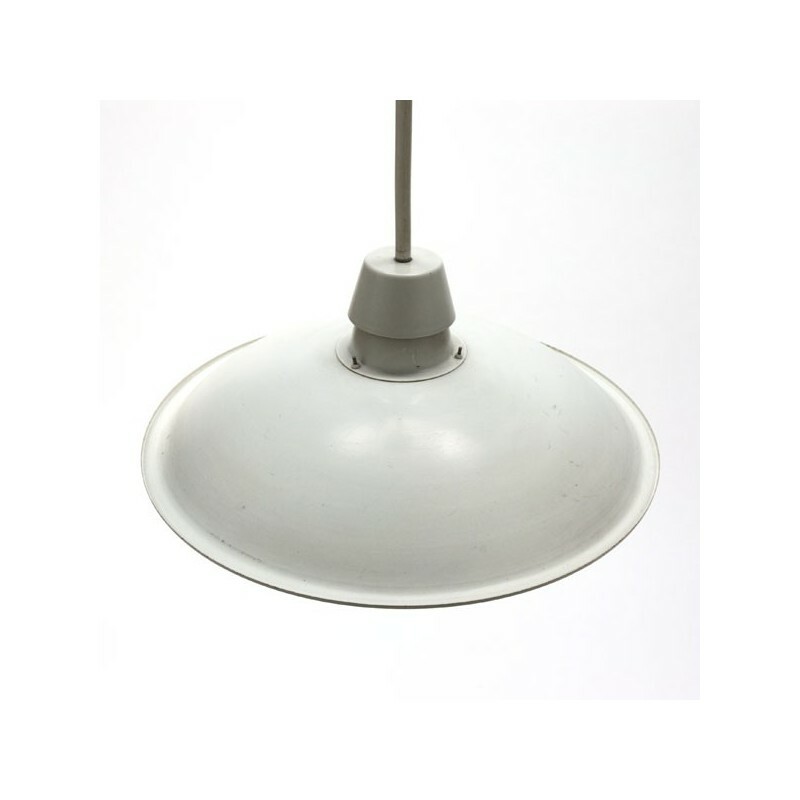 The dimension is 75 cm high and 45 cm in diameter.